Last night I happened to be up and caught the beginning wave of news of AirAsia Flight 8501. The plane had lost contact with air traffic controllers in Jakarta not long after taking off from Surabaya in East Java, and vanished somewhere between Pontianak in West Kalimantan and Tanjung Pandan on Belitung Island. 162 people were on board; 155 passengers (including one lap child) and seven crew members. At this point in time, early speculation is placed on severe thunderstorm activity in the area having affected the airplane in some way. Several things struck me immediately. One, I have a friend who lives in Surabaya and my immediate thoughts were of him… could he have been on that flight by some strange quirk of fate? Luckily, he posted on Facebook that he was not flying. However, his sister was flying to Singapore that morning, but was on a Singapore Airlines flight. Her flight experienced turbulence but she reported it to be nothing more than ‘usual’. Secondly, I have flown in this part of the world before and am scheduled for another trip to Indonesia and Vietnam in just a couple of weeks. Of course I have second thoughts. It is a slightly scary prospect any time I enter a plane, but my faith in technology and the skill of the pilots who ferry these jumbo jets from point to point help to keep fear at bay. My husband asked me this morning if I am ever ‘scared’ when I fly. I had to think about that for a moment…scared might be too strong of a word. Aware seems to fit much better. An old, dear friend of mine worked for AirAsia from its inception as an architect/project manager. He was very proud of his contributions to the company and loved working for Tony Fernandes in helping a dream become a reality. Jimmy is no longer with us, but I am sure his heart would be breaking at this latest news. 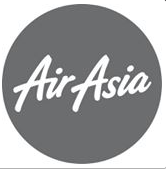 I cannot imagine the pain and grief that the families of those onboard Air Asia 8501 are experiencing right now. My thoughts and prayers are with you all. 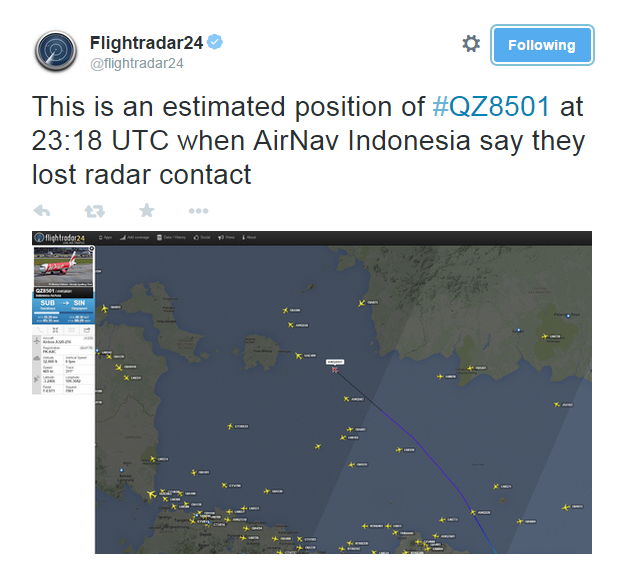 Be the first to comment on "AirAsia Flight 8501 Missing – First Thoughts"